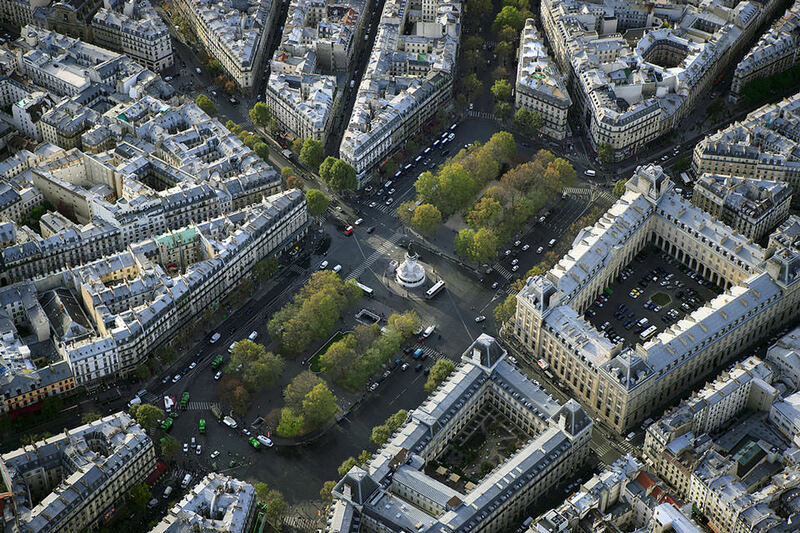 The Place de la République in Paris plays a special role in Parisian public life. Not only due to its exceptional size (120 x 300m/ 393 x 984ft) and its symbolic significance, but also because of its central location in the metropolis. 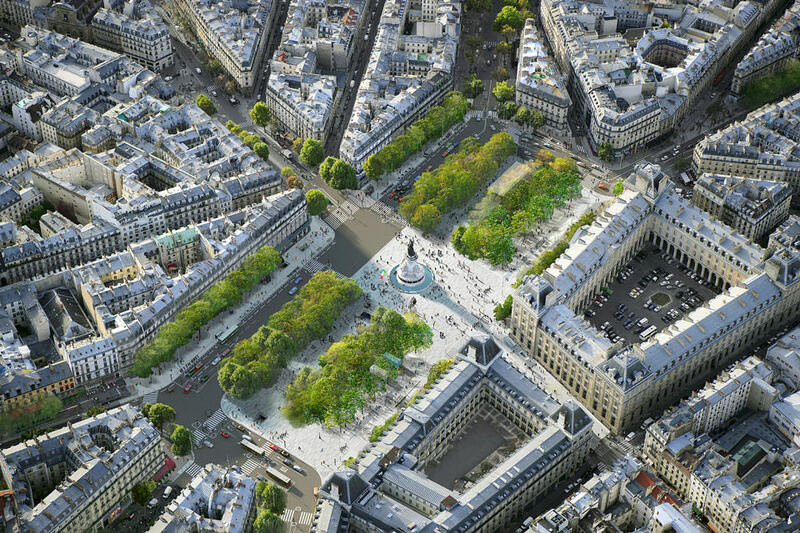 Before this redesign, the square was an oversized traffic hub. 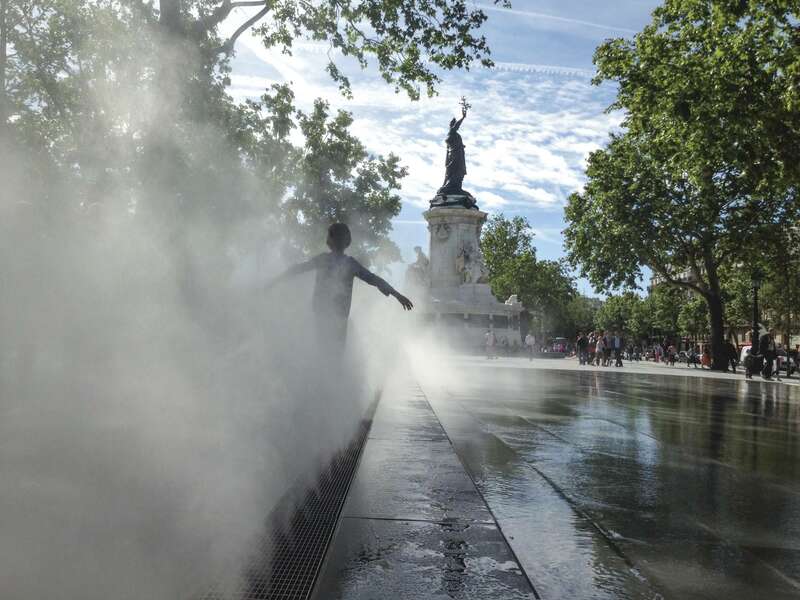 In addition, Paris suffers from a substantial heat island effect. 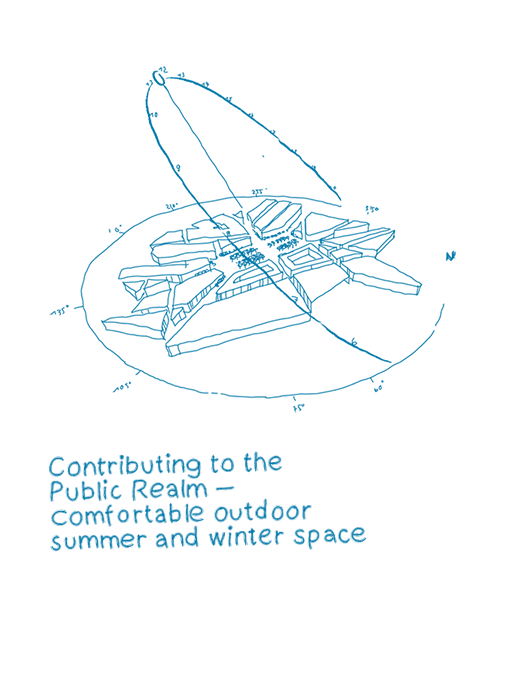 This raised the challenge of creating a high quality public realm and a microclimate to maximize outdoor comfort levels within the plaza, which also contributes to the comfort in the surrounding neighborhood. The ground surface is equipped with reflective tiles to minimize solar ab sorption. Trees provide shade in the summer and support the cooling effect. The vegetation also acts as an air purifier, optimizing the air quality. Air movement further increases comfort. Water features provide additional evaporative cooling and ensure acoustic comfort for the users by providing a pleasant background noise. In the winter, the leafless trees allow the sun to reach the ground to create a warm, sunlit space. 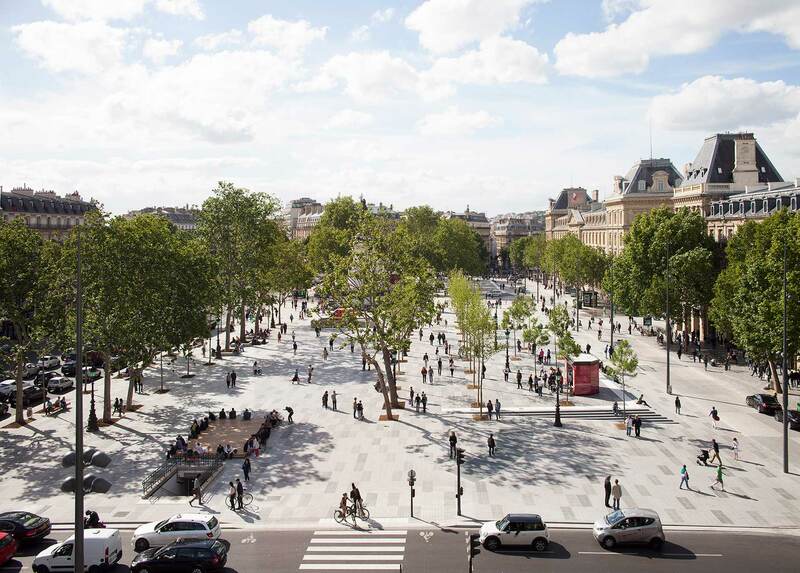 Place de la République is now a versatile and popular outdoor space with a climate control strategy that provides optimal outdoor comfort and diminishes urban heat island effect locally.